A mystery lies at the centre of the galaxy, an irresistible pulse that draws you on an epic voyage to discover the true nature of the cosmos. Your journey will be charged with danger, encountering hostile creatures and fierce pirates, in order to survive you will need to prepare, upgrading your ship, suit and weapons. 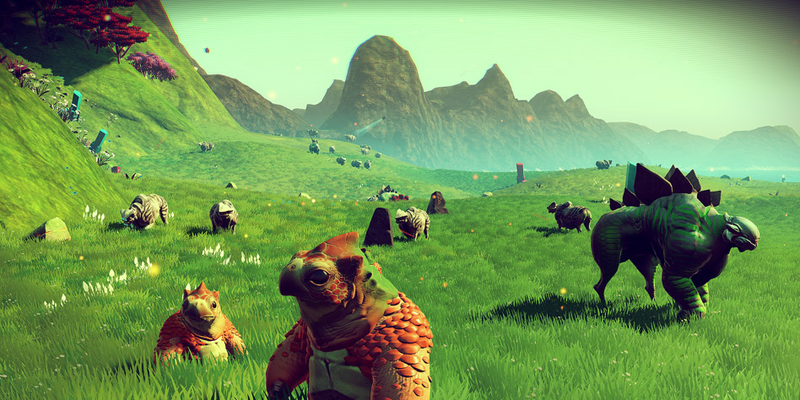 Whether you choose to fight, trade or explore, every decision you make has consequences, shaping your journey as you travel ever deeper into No Man's Sky. 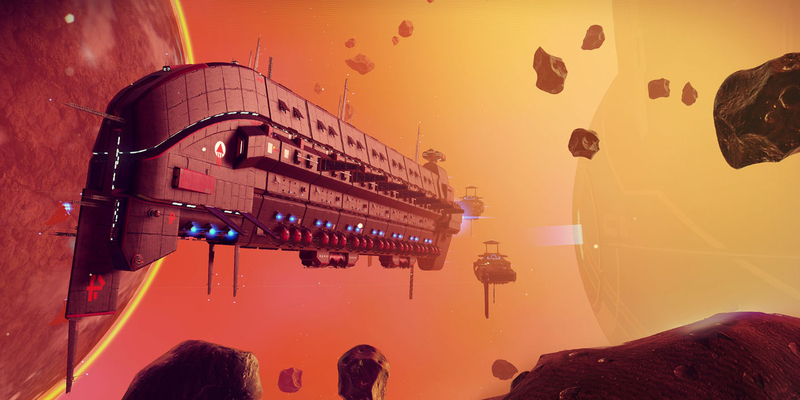 Embark on an epic voyage: Learn the true nature of the cosmos. Facing hostile creatures and fierce pirates, you'll know that death comes at a cost, and survival will be down to the choices you make over how you upgrade your ship, your weapon and suit. 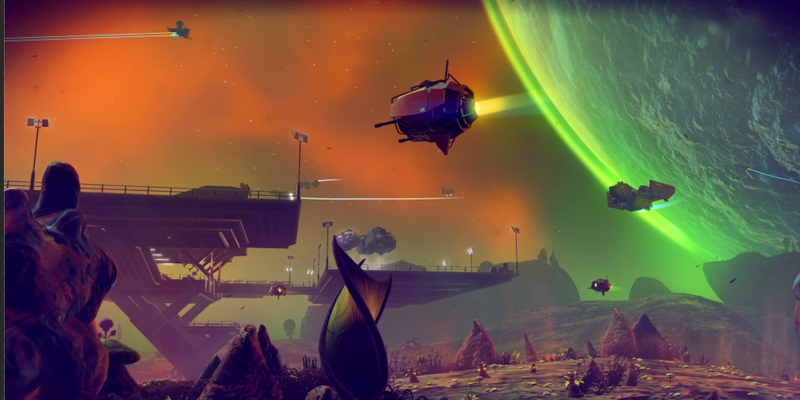 Find your own destiny: Your voyage through No Man's Sky is up to you. Will you be a fighter, preying on the weak and taking their riches, or taking out pirates for their bounties? Or a trader? Find rich resources on forgotten worlds and exploit them for the highest prices. Or perhaps an explorer? Go beyond the known frontier and discover places and things that no one has ever seen before. 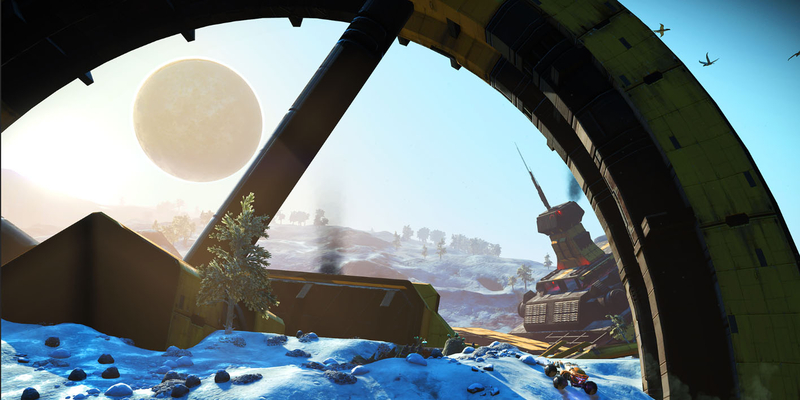 Includes all updates: The Xbox One version is enhanced for Xbox One X (HDR, 4K and more) and includes the Foundation, Pathfinder and Atlas Rises updates. Added base building/sharing, planetary vehicles, weapon specialisation, permadeath mode, a brand new and overhauled central story line, portals, a new procedural mission system, trade improvements, system economies, joint exploration and much more.